A graduate of New York University's Tisch School of the Arts with a BFA in Acting, Connor is a classically trained physical actor and artist. While in school, Connor performed the title role in Shakespeare’s King Richard II, and had the opportunity to study abroad in Amsterdam as part of the International Theatre Workshop. 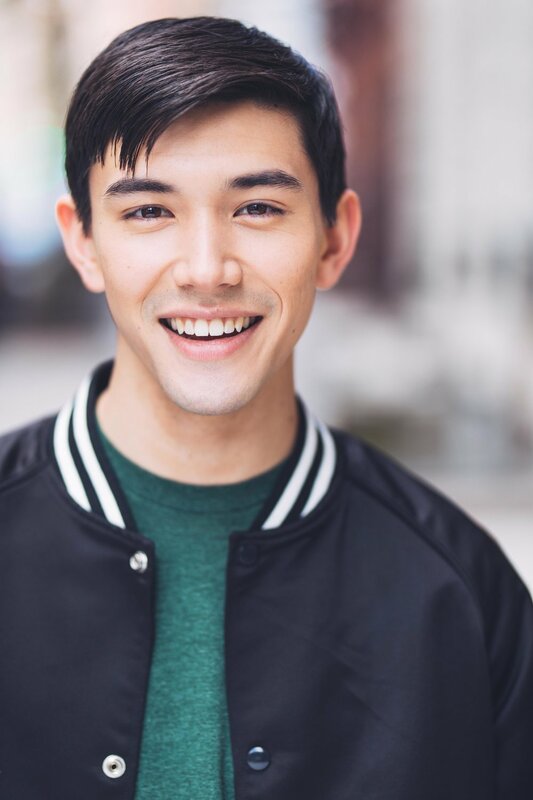 Since graduating, Connor has appeared in productions at Dixon Place, The National Asian Artists Project, The American Theatre of Actors, and The Flea Theater. Connor has made multiple appearances on screen, including co-starring roles on NBC's Grimm, CBS's Elementary, CBS’s Madam Secretary, and CBS's FBI. Connor filmed a supporting role in the independent feature film, Something Like Summer, based off the book series of the same title, and he also shot a principal role in the independent feature film, Dating My Mother, both released in 2017. In March of 2017, Connor filmed his largest film role to date: a supporting lead role in the independent feature, All These Small Moments, starring Brendan Meyer, Molly Ringwald, Brian D'Arcy James, and Jemima Kirke - which premiered at the Tribeca Film Festival in April 2018, and will be hitting theaters in January 2019. Connor works with manager Christopher Silveri at Center Stage Management, the legit department at Buchwald, and commercial / print with Abbey Lynn Models, and is very grateful for these wonderful relationships! Connor joined SAG-AFTRA in fall 2018. Originally from Portland, Oregon, Connor grew up as a gymnast and singer, and fostered a love for performing that began in summer theater camps. At 16 years old, Connor performed in his professional theater debut on the Portland Center Stage Main Stage in a production of Snow Falling on Cedars, directed by Chris Coleman. It was during that rehearsal process where Connor realized that acting is his life's passion. Connor keeps his tumbling skills fresh in regular gymnastics classes at Chelsea Piers in New York City. Connor also takes Improv Comedy classes at the Upright Citizens Brigade Training Center - it's what scares him the most! Connor is now in the Advanced Study Improv level at the UCB, and currently performs on an indie team named "Microdose" in different venues around the city - find them on Instagram @microdoseimprov! One of Connor's personal goals is to travel outside the country every year - earlier this year Connor traveled to Japan! As for his career goals, Connor is working toward starring in a recurring role in a television hour-long drama.